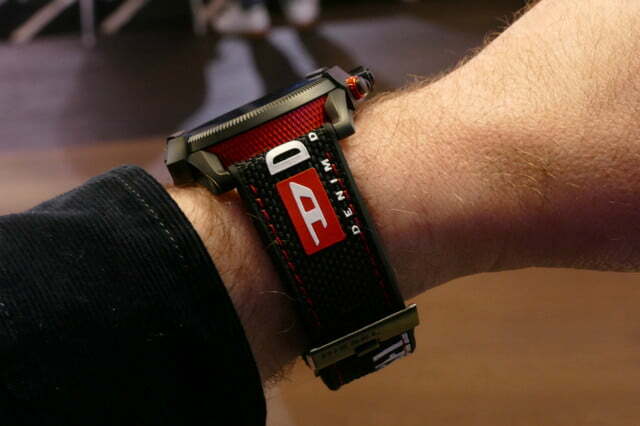 The Diesel On Full Guard 2.5 smartwatch is getting a small makeover later this year, with the arrival of two new straps that give the watch a totally different, considerably more casual look. The style is also a very “Diesel” look, by which we mean combining strong colors, its recognizable logo, and deep design ties to its iconic denim range. We wore the new On Full Guard 2.5 watches at Baselworld to see how they feel, and after we tried to walk away with one on hoping no one would notice, had to sadly return it. 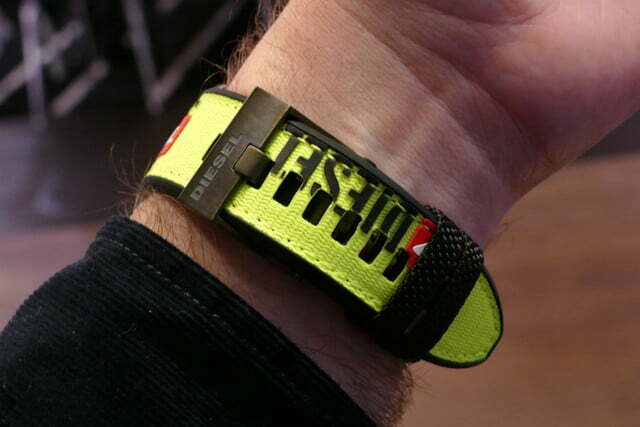 While the overall design of the two straps is identical, the colors are very different. The depth and vibrancy of the yellow version just can’t be captured by the camera, and it quickly became my favorite. It really needs to be seen to be appreciated. The black version is more subtle, and matched with red stitching for a classic sports look. it also neatly complements the red highlights on this particular On Full Guard 2.5’s case. These are thick, substantial straps too, and feel hard wearing and strong on the wrist. 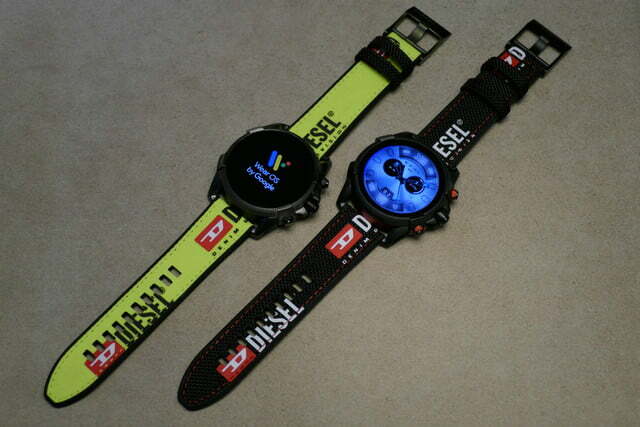 Diesel has an extensive range of watches but is probably better known for its clothing, especially denim. The straps are casual and will pair well with Diesel’s denim range. The quick-release pins make swapping them out easy if you want a different look. We like the details, too, from the fabric keeper to the embossed, metal clasp — these are high-quality additions to the On Full Guard 2.5. 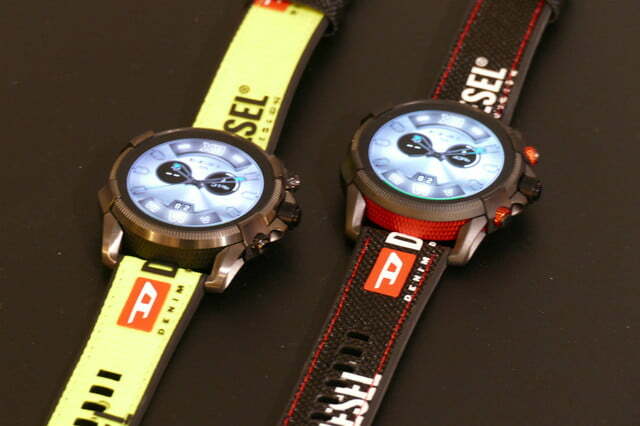 Diesel will release the watch with these strap options later in the year, with the price still to be confirmed. The On Full Guard 2.5 was revealed in September and earned its name by going a step beyond version 2.0. Diesel also told us a software update will bring some new watch faces that react to the weather report soon, joining the versions pre-installed now. These make the screen look cloudy when it’s cloudy outside, for example. The rest of the watch won’t change, meaning a 47mm case that’s slim and cleverly designed, so never feels too large. 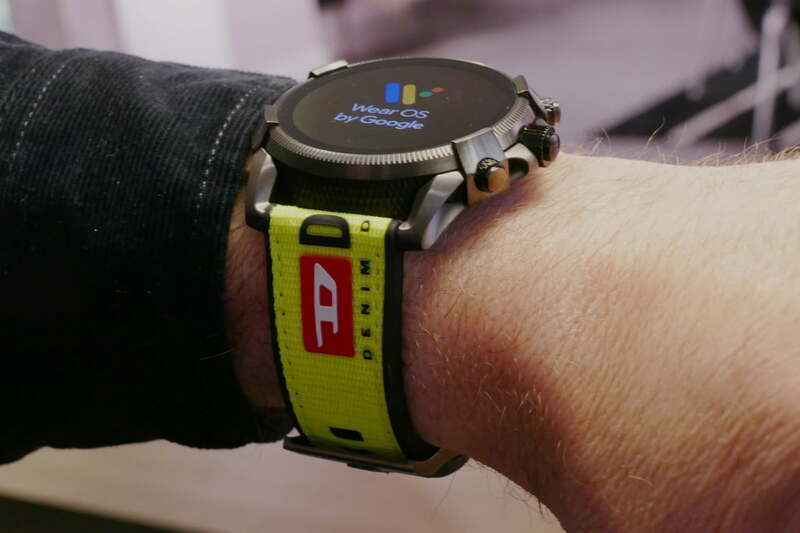 There’s a heart rate sensor on the back, NFC and Wear OS inside, plus the ageing Snapdragon 2100 processor. You can buy versions now with silicone, leather, and metal straps with prices starting at $325. We’ll update here with the final release date and prices when we know.